4 Aces 6 oz. 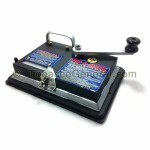 bags are exactly what you are looking for, if you’re looking for something a bit smaller and less expensive. Each bag contains quite a bit less tobacco than the 16 oz. bug brother, but packs all the same flavor and character. 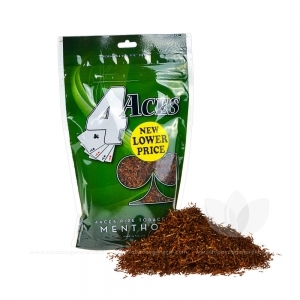 4 Aces Menthol Pipe Tobacco is a minty and refreshing flavor with a strong menthol taste. Unlike the competitors, 4 Aces uses a true menthol flavor to give this blend a more traditional taste. 4 Aces Pipe Tobacco features traditional flavors, that use quality and expert blending to outshine the competition. Manufactured by one of the oldest names in the tobacco industry, this iconic brand is ideal for any level of pipe smoker. 4 Aces Pipe Tobacco is manufactured and distributed by Republic Tobacco, or as you might know them, TOP Tobacco. Based out of Glenview IL, this signature tobacco is midwestern as you can get. The flavor is smooth and consistent with unique flavor tones and an even, and fine cut. 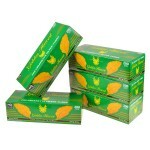 All 4 Aces tobaccos come in reseal able plastic pouches ideal for long term storing and maintaining freshness.